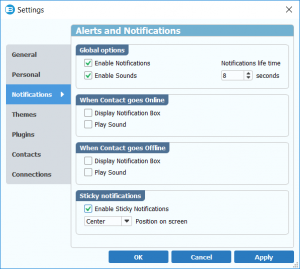 In order to mute the nudge option, begin by clicking on the “Brosix” tab and selecting the “Settings” option. 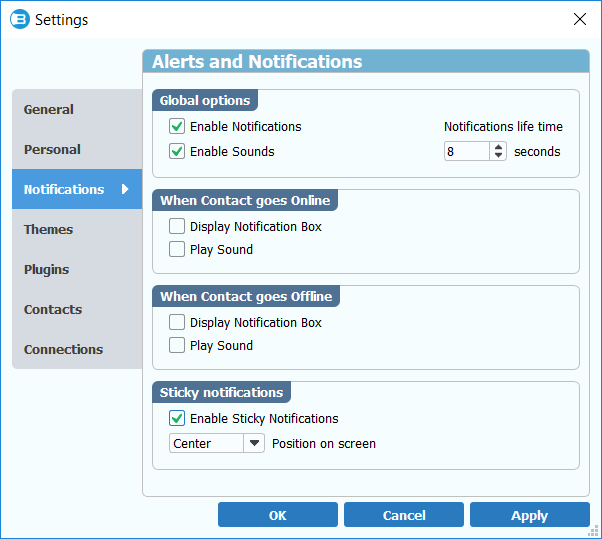 From the settings window select the “Notifications” tab and deselect the “Enable Sounds” option. This will disable all sounds on Brosix.